In the summer of 2000, we'd rented a cottage in the French village of St. Nicolas Courbefy (now famous for because the entire village was put up for sale early last year) At first the locals were standoffish. We later found out it was because they thought we were German - the occupation still loomed large in memory in this part of the Limousin - but once they realized we were English and American and spoke French we were welcomed. We went to a dance at the village hall where I was twirled energetically by elderly Frenchmen, and a couple invited us to dinner in their home. Inevitably, the conversation turned to the Tour de France, which was passing through the region. 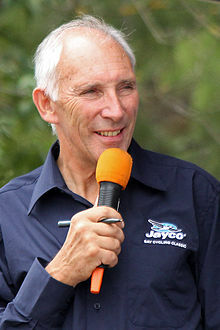 My ex is a keen cyclist, so I'd started watching the Tour and developed appreciation and knowledge of the teams, the strategies, not to mention a bit of a crush on the British commentator, Phil Liggett. Our French host was adamant that Lance Armstrong, who had come back from cancer the year before to win his first Tour de France title and was doing well that year, had taken some kind of miracle drug to enhance his performance. I was shocked. SHOCKED, I tell you. "The man had CANCER! He had chemotherapy...toxic chemicals pumped through his veins to kill tumors." Lance hadn't started LiveStrong yet, but I'd already drunk the Kool-Aid and leaped to his defense. To me, he was an inspiration - someone who had faced great challenges and overcome them to win. I stopped admiring him when he dumped his wife Kristin, who had stood with him through his cancer battle and raised his kids while he trained all over Europe, for Sheryl Crow. And now we find that my dinner host back in 2000 was right all along - that Lance was doping. We all wanted to believe, and he played us, but good. *CREDIT: "Why are all our heroes so imperfect? Why do they always bring me down?" The answer I give myself is this: stick to everyday heroes. Make heroes out of the people you know and admire, the people who quietly, and without expectation of glory, do good for others, trying to make the world a better place. P.S. I got to meet Phil Liggett that summer, after one of the stages of the Tour. And he kissed me. Twice. Once on each cheek. : ))).